This post is not valid. SAF closed indefinitely in early 2014. 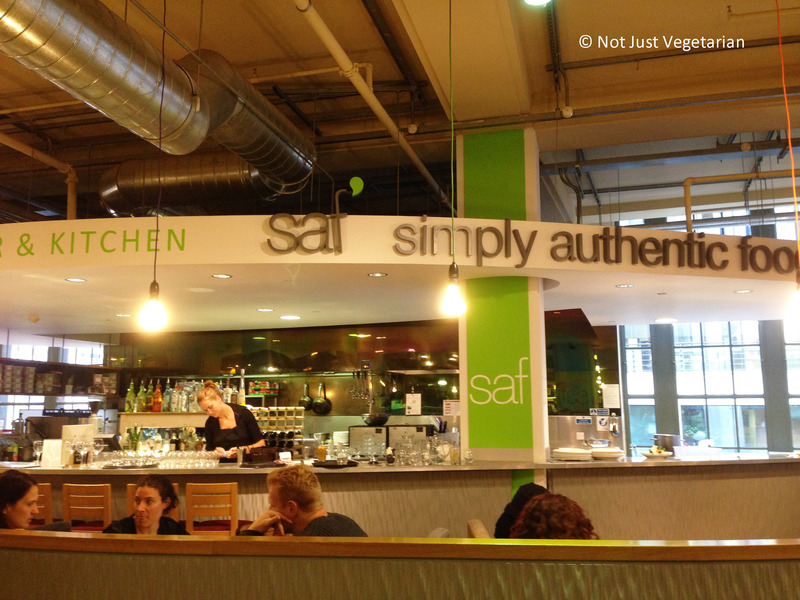 SAF (Pure in Turkish) or for Simply Authentic Food is a vegan and gluten free restaurant located on the first floor of Whole Foods Market in High Street Kensington, London. 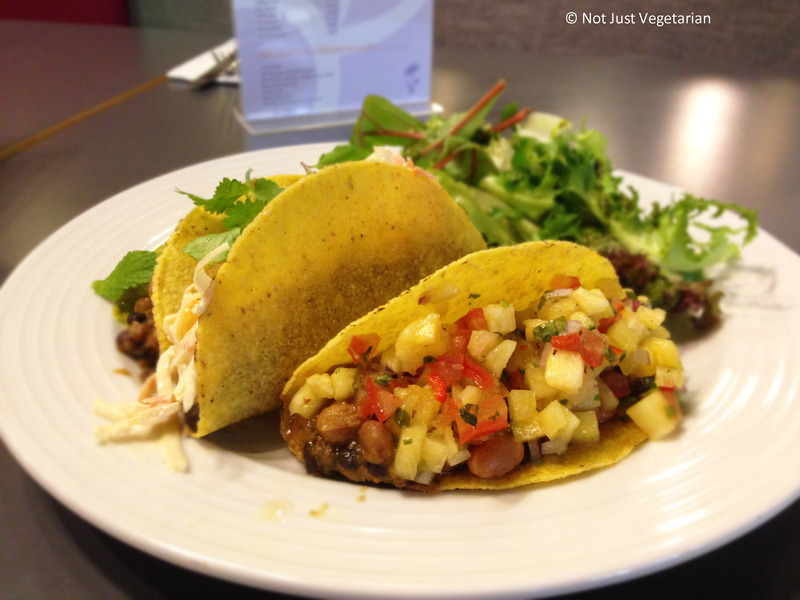 I stopped by for lunch on a recent afternoon and enjoyed some delicious vegan, gluten free tacos and some fermented starters that are closest to cheese in the vegan world. SAF also serves many raw dishes or food cooked under 48C to preserve enzymes and nutrients. SAF was not too busy when I stopped by around noon that day, but quickly filled up with many people waiting in queue an hour later. The guests at SAF were a mix of shoppers from Whole Foods and people working in the neighborhood. The service was friendly, yet could have been more attentive, but nothing to complain about. SAF has a section dedicated to fermented starters. 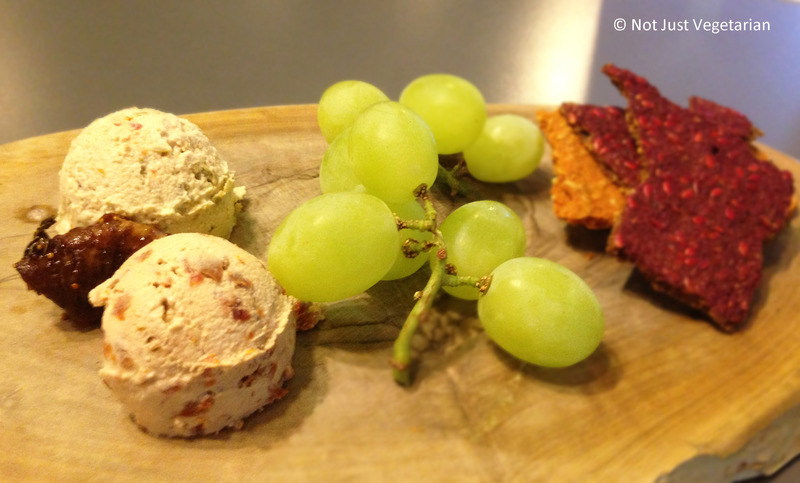 Cashew cheese (raw and gluten free) was one of those. 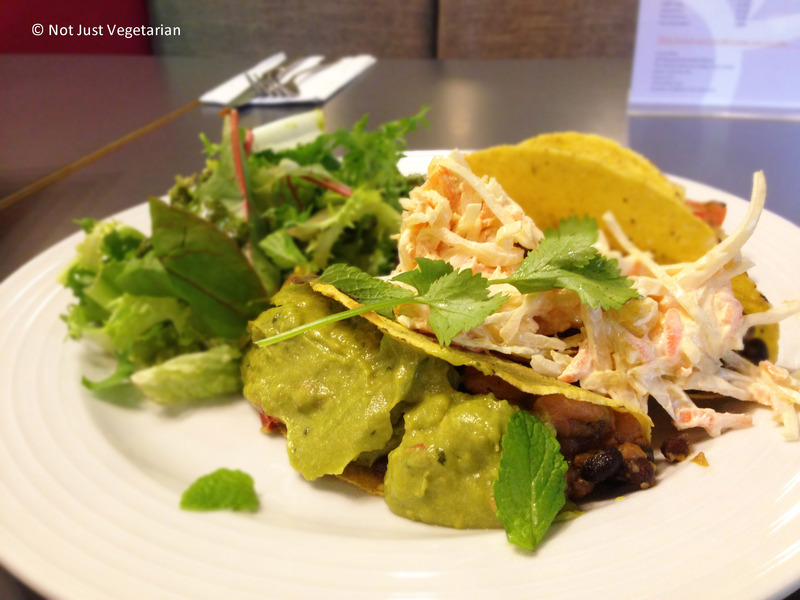 I was not particularly “wowed” by this dish as I found it lacking in balance of flavours. It felt highly fermented and too raw for my taste. It did not have a full-bodied mouth feel that I expected having tried some other cashew cheeses and dishes in NYC (read about Treeline cheese from The Seed Experience 2013 in NYC, and cashew entree at Gwynett Street). The flax seed crackers were mostly forgettable! The vegan and gluten free tacos were extremely delicious and filling (may be because of the blackened beans). The vegan slaw was delicious as was the guacamole. The portion size for this dish is quite large and sharing is recommended. Wish this dish was served in soft corn tortillas instead of the crispy (fried?) corn tacos! 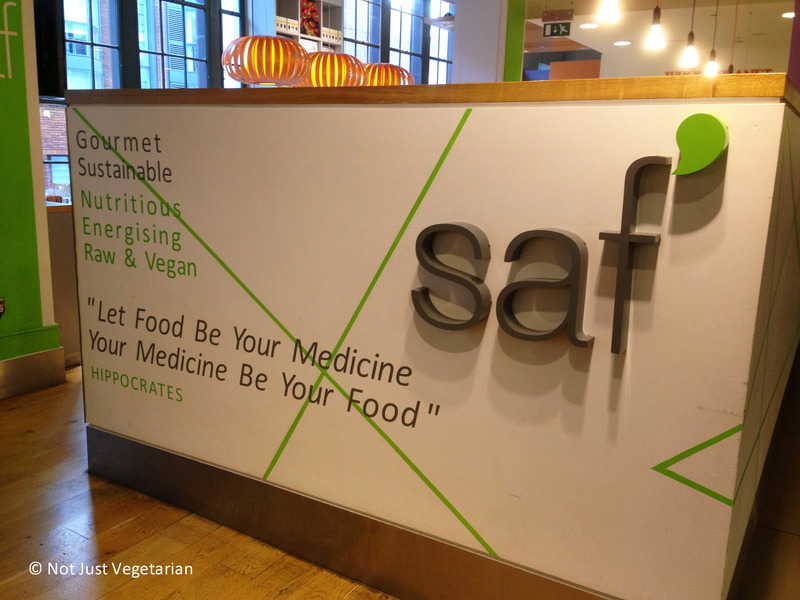 SAF is a great place to eat many vegan, gluten free and raw dishes – definitely one of the best vegan and gluten free restaurants in London. SAF Express range is available for retail at Whole Foods Markets, Virgin Active Classic Health Clubs, and some other locations. SAF and the Fat Gay Vegan are partnering on New Year Eve for a vegan party – read more here.